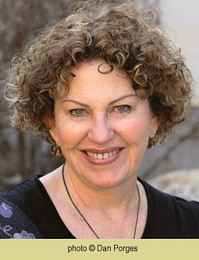 Agi Mishol was born in Transylvania (Romania) in 1946 to Holocaust-survivor parents, and came to Israel in 1951. She has an MA in Hebrew literature from the Hebrew University of Jerusalem. The caring mentor of young poets, Mishol is poet-in-residence at the Hebrew University of Jerusalem, and also teaches creative writing at Alma College. She has served as artistic director of the International Poets Festival in Jerusalem and has represented Israel at literary events in the U.S.A, Germany, Macedonia, Turkey, and Ireland, among others. 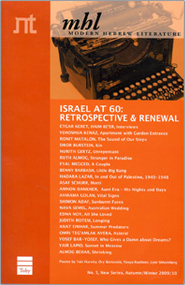 She has also translated the work of many poets into Hebrew. In her free time, she grows peach and persimmon trees in the village where she lives. Mishol has published almost twenty books of poetry and is included in anthologies around the world. Among her literary awards: the Tel Aviv Foundation Award (1991), the Prime Minister's Prize (1995), the inaugural Yehuda Amichai Poetry Prize (2002), the Dolitzky Prize for Poetry (2007) and the Lerici Pea Prize (Italy, 2014). She received an Honorary Doctorate from Tel Aviv University in 2014 and from the Weizmann Institute of Science in 2016.